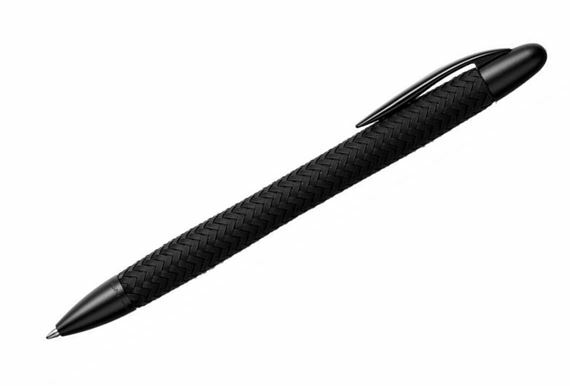 Order your Porsche Design P'3110 Black Tec Flex Ballpoint Pen today from FahrneysPens.com. Fine Pens, Refills & Luxurious Gifts – great prices & fast shipping. The newest writing tool from Porsche Design features extraordinary function and pure, futuristic design combined with the fascination of a flexing pen. The Matte Black P’3110 TecFlex gives the very first Porsche Design writing tool a new look. Each barrel is woven from fine stainless steel threads which are finished with a scratch-resistant black PVD-coating. The barrel design is based on TecFlex braking hose material – known for its high wear-resistance and flexibility. The snake-like TecFlex actually flexes when you activate or retract the ball pen point.